If you want true pampering, come to Sky Villa. Things like daily housekeeping service are par for the course. 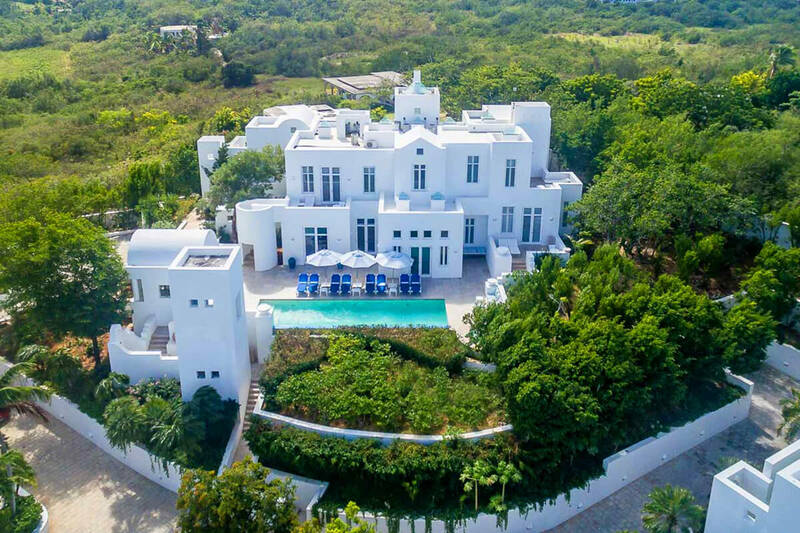 Speaking of the course, this villa is very close to the only golf course on the entire island of Anguilla. There’s also a pool, private beach access, and even a beach house with refreshments. In short, nothing here is overlooked! Sky Villa at Long Bay Villas is a fully air-conditioned property that offers resort amenities and gentle island breezes. Private stairs lead past Sea and Sand, the property’s sister villas, and down to the beach. This property shares some amenities with Sand Villa and Sea Villa, such as three lighted tennis courts and a resort-style gym. Snorkeling, diving, sailing, and water sports are nearby as well. Sky Villa has access to a Long Bay beachside pavilion with bar service. There’s also covered al fresco dining for 30, a BBQ grill, and beach chairs and umbrellas. Up at the villa, guests can relax in the hot tub, swim in the infinity pool, or sunbathe around the terrace. There’s also covered dining under the veranda if guests want to feast in private at the villa rather than on the beach. The dining room and lounge open to the terrace via large glass doors, and the living area is just beyond the lounge. Guests can watch TV from the couches or from the dining table. The gourmet kitchen has granite countertops, modern appliances, and exterior access. The villa has window screens and WiFi throughout. Four of the five suites have a king bed, an ensuite bathroom, and a walk-in closet. Some bedrooms have flatscreen TVs and exterior access to the pool terrace or balcony. The staff provides daily continental breakfast, butler service, 24/7 security, and housekeeping. Located above Long Bay beach with private access (lots of stairs) or guests can take a golf cart down to the beach to avoid the stairs! Transfers not included, but can be arranged for an additional fee. Daily continental breakfast and drinks from the beach bar pavilion.